As a psychiatrist you will have a huge positive impact on the lives of your patients and their carers. You will face new and interesting challenges every day, but always be able to face them with the support of your doctor colleagues and team around you. You will always be learning and your medical and scientific knowledge and skills will constantly grow. You can work in a range of settings, from hospitals to people’s homes, anywhere in the world. As you progress through your career, you have more opportunity to shape the way you work; you can work part time or full time and can combine your career with a wide range of other interests. As we continue to learn about the science of mental health, the brain and about the importance of good mental health, psychiatry is being recognised as being an important branch of medicine. 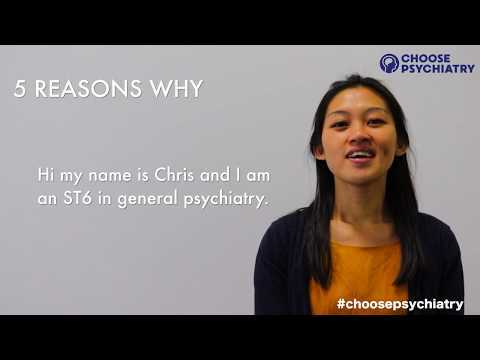 View our inspiring psychiatrists stories.